The orphanage, was was built in 2007 beside our school from the money raised by the Singing Children of Africa’s tour and provides a loving home for around 14 children many who have had a hard start in life. 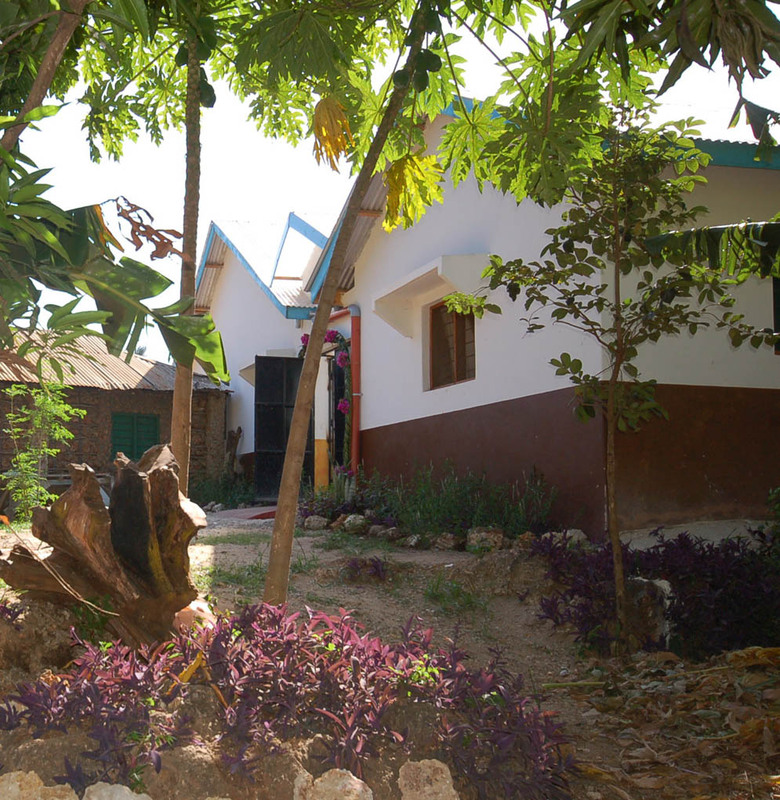 There are two dormitory style rooms, and good social space for the children to socialize as a family together. The Orphanage allows children who would once have had to leave the area when a surviving parent dies, to remain within the community and attend school. One of our choir members Moses Gambo has joined the other children in the orphanage. This is the first time we have taken a child in who is not an orphan. His father has worked hard all his life, and they have a very large family, unfortunately recently his father has become very poorly and has not been able to work. To relieve pressure on the family and that fact that little Moses works very hard in the Singing Group we have moved him into the orphanage, his family are delighted, and he visits them daily. Sarah Turner who sponsors one of Moses brothers has set up a just giving appeal to raise money to repair the family home which is in a really poor state, and in danger or falling down. This is what drives us to do what we do…these are the two newest member in the orphanage, Pamela, our house mother is delighted to have some little ones again. You can give a monthly donation to make the lives of these little ones better, thank you. I finally got back to the orphanage having done all the examinations and they were not as difficult as I expected them to be or I might say I had prepared for them well. In the university things are quite different when it comes to releasing the general results.It is always done so at the end of the whole academic year like if its the 1st year for someone like me. The individual lectures who are always fast in marking are the ones who at times bring back the marked papers in time. I’ll let you know about the results once I get hold of them. I am now planning to meet Mr Edward for the gift he has kept for me. I arrived in the orphanage and everybody was happy to meet their brother who has been away for some time and to my surprise even the new young ones who had joined the family this December managed to have a piece of my heart as the house was full of smiles all day from everyone. The journey was so long having spent 16 hrs in the bus travelling and by this I needed some rest but the love I received from my brothers and sisters made me active again. I also received the Christmas card you had left aunt Pamela with to give to me and I say thank you so much to everyone including papa Dean, sister Jenni and Suzy without forgetting brother Robert. Pass my regards to them and I wish you all a merry Christmas and a prosperous new year.